Part of the reason Bitcoin and other altcoins have spiked in value is the importance of the underlying technology. While blockchain was originally used to eliminate the double-spending problem in digital currency, developers have put it to a myriad of other purposes, and many in the community are confident it will have widespread profound effects on the way we use technology. However, the blockchain’s cutting-edge capabilities and revolutionary potential are something of a double-edged sword when it comes to marketing. Beyond the crypto community, most are still struggling to wrap their minds around the concept of Bitcoin. “Blockchain” remains impenetrable tech-jargon, and if the mainstream knows anything about it at all, it’s probably related to news stories on an ice tea company changing its name to boost its stock price. That’s why it’s vital for any company working on a blockchain product, platform, or ecosystem to have an experienced CMO on their team. By leveraging their network and their personal brand, a CMO can soothe the concerns of investors or business partners who may have bought into the negative press or are simply anxious to embrace a new technology they don’t fully understand. With that in mind, let’s take a look at three CMOs currently working wonders in the blockchain space. Brian is an Inc. 500 entrepreneur, the founder of Influencive, and the winner of the Golden Token for blockchain influencer of the year in 2018. With a personal brand that boasts millions of followers, he specializes in attracting widespread interest to his writing and his clients. 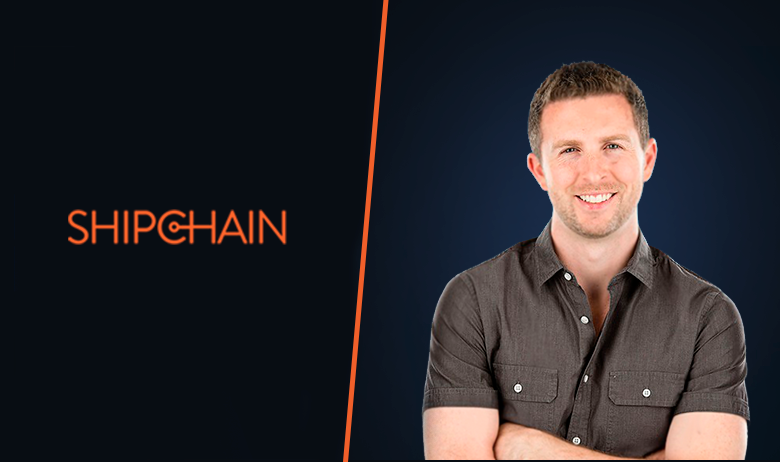 He’s currently the CMO of ShipChain, a blockchain company in the freight and transport industry that’s working to disrupt the supply chain. On top of attending speaking events and panel discussions on the behalf of the company, he’s worked with the company’s team of influencers to bring major players such as the CEO of DHL on board to test the platform. ShipChain’s mission is multifold: unify track and trace via the blockchain and IoT, reduce costs by cutting out the brokers who work between shipper and carrier, reduce the shortage of truck drivers through a reputation and reward system, and institute end to end accountability across the supply chain. The CMO at MadHive, Rebecca is a true believer in blockchain’s power to transform the advertising industry. As an in-demand speaker, she speaks on blockchain topics to the ad community, helping them understand its many virtues, such as the ability to render trust in a cost effective fashion. She’s committed to giving power to the publishers so they can take back control and create a new paradigm in the ad world in the process. Her company MadHive, deals in data management and tracking ad performance. Similar to ShipChain and the transport supply chain, the advertising supply chain is in serious need of improvement. Blockchain would enable better transparency in ad targeting, and reduce costs, by cutting out the agencies in the middle. Think of Epstein as the CMO for the entire blockchain world. Previously the VP of Marketing for Sprinklr, a social media management company for enterprise brands like Nike, he’s continually sought after as an advisor in the crypto space, having worked with companies like Zcash and OpenBazaar to market their platforms and ideas. He’s considered one of the top authorities on blockchain technology, and is frequently on the front lines, liaising between mainstream media and the community. He’s also the author of the CMO Primer for the Blockchain World, a treatise on the state of marketing in the industry, and an argument for blockchain as the next evolutionary leap in technology. These three marketers, as well as many others, share one trait in common. Not only do they market the companies they work for, they evangelize for the blockchain itself. As it becomes integrated into our daily lives, the benefits of blockchain will be obvious to all, but we’re not going to get there without the help of hardworking CMOs.